Providing Fleet Technology Equipment for fleet management solutions Remains Our primary service and product offering. through our internal process of reverse engineering and diversification we now also offer customised ICT management solutions to public and private enterprises which is backed up by dedicated motoring, support and training. Automated Fleet Solutions (AFSOL) was established in March 2001 by Thabit Gool and is a 100% black owned and managed organisation in the industry. Our core business is to provide fleet technology equipment for fleet management solutions. We have been appointed the exclusive service provider to Government Motor Transport of the Provincial Government of the Western Cape for the Vehicle Management and tracking solution of the non-emergency vehicles. With our extensive range of products and services, fleet organisations and owners will be equipped with the tools and systems to operate, monitor and control their mobile assets. AFSOL started as a Management Consulting Company specialising in fleet management systems, gaining experience at the City Of Cape Town. We currently have 30 employees with offices in Wetton, Cape Town and currently opening an office in George. Our mission is to ensure that our client(s) are provided with the best technology driven solutions that is practical, cost efficient and tailor made to meet their needs. Through our partners and strategic alliances we are constantly searching and striving to develop new products and solutions that are based on sound business principles for our customers. We strive to ensure consistent service, products and technology to our customers by creating rewarding partnerships. to effectively manage their mobile assets through our Software as a Service delivery model. Whether our customers are reducing their risk, reducing their fleet costs, improving their safety levels or lessening their environmental impact, they are experiencing a multitude of benefits. The company's products and services provide enterprise fleets and small fleets with solutions for safety, efficiency and security. State of the art fleet management products and services from AFSOL provides the most comprehensive range of fleet management information available today. AFSOL provides integrated driver safety solutions to businesses that embrace a culture of ensuring employee and community safety and maintain the highest QHSE standards. When fleet operators are properly equipped the result is a guaranteed increase in profitability. similar to established institutions in the South African market place. We would like to establish partnerships that add value to both, our company and its client(s) which is mutually beneficial in the long term. We believe that the partnership must become a living reality within our institution. We are able to extrapolate meaningful management reports, tailor made to any organisation(s) requirements from an asset, operating, monitoring management and a cost of capital perspective. Our state-of-the-art management solution is built specifically for all commercial used vehicles. They are suitable for both small and large fleets. 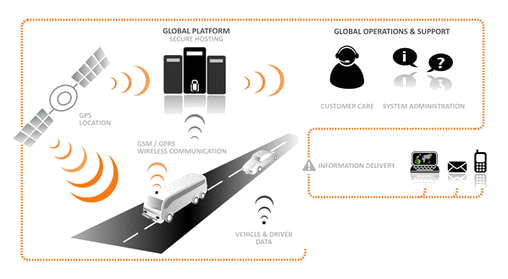 MiX Vision is an enhancement to our fleet tracking and monitoring solutions. Using video footage captured with in-vehicle cameras, MiX Vision delivers streaming video, with sound, allowing for visual clarity at the time of an event. An advanced in-cab display that is affordable and easy to use, MiX Rovi allows fleet managers to streamline their fleet operations thanks to improved communication between drivers and their back offices. Depending on your specific requirements or standards, we develop solutions that really fit your needs. Paying for your journey has become easier by the use of a prepaid travel cards. We have recently implemented this service in a Public Transport System for a local municipality in the Western Cape. An On-board Ticketing Machine designed and fully certified to accept and process Bank Issued Fare Media. A simple tap or swipe will allow you access onto the transport of your choice provided you have sufficient funds available on your card. Card holders can elect to load transit products (eTicket) issued by the client. Transit products will consist of various discounted packages such as multi journey period passes including weekly and monthly tickets. One of the great advantages in implementing this system is that it will meet the objectives of long-term public transport policy and relevant legislation by electronically collecting fares.